It’s official: The next major iteration of Intel’s Core microprocessor will be “Ice Lake,” and you’ll be able to buy it this holiday season in PCs from Dell and other manufacturers. Intel used its CES 2019 keynote to formally launch the 10nm Ice Lake chip, based on the Sunny Cove architecture, as well as flesh out its existing Coffee Lake CPU family. 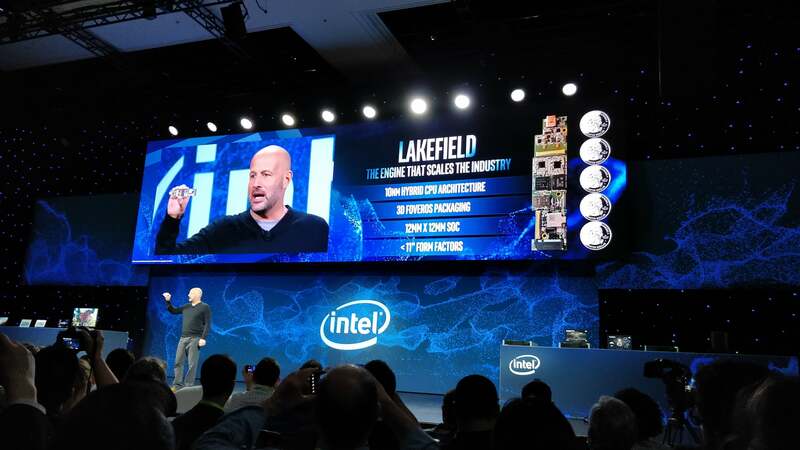 But Intel’s surprisingly newsy keynote also featured something entirely different: Lakefield, a “big-little” approach to computing that combines stacked Atom and Core chips, as well as an entirely new platform approach to the PC. That initiative, known as Project Athena, will represent the next generation of ultrabook or thin-and-light PCs—and PCWorld has an exclusive behind-the-scenes look at it. Gregory Bryant, senior vice president and general manager of Intel’s Client Computing Group, said that in a world of connected devices, the PC is where consumers go to focus. “We’re in the early stages of a new era of computing,” Bryant said, where data is everywhere. Intel recently launched its Core i9-9900K, a member of the Coffee Lake family of Core processors, which PCWorld lauded as the fastest gaming processor ever. But that chip itself costs close to US$500. Bryant announced five new processors that deliver more affordable chips within the Coffee Lake family, from the Core i3 classification up through Core i5. The first of the new 9th-gen Intel Core desktop processors is expected to be available starting in January, with more rolling out through the second quarter of this year, Intel said. Intel plans to flesh out its existing 9th-gen Core chips in the near future. 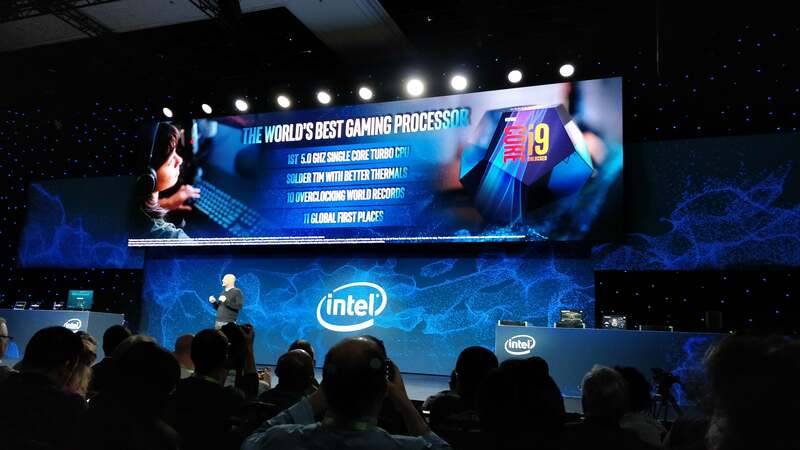 Bryant also shared that 9th-gen Core processors will arrive in its mobile line—specifically the H-series, for gaming notebooks—in the second quarter. People want a platform that allows them to focus, adapt, and work all day. The answer to that, Bryant said, is Intel’s next-generation Core chip, called Ice Lake. Intel first inadvertently disclosed Ice Lake in 2017, the successor to the 10nm Cannon Lake chip, but the company hasn’t talked much about it since then. Ice Lake is based on Sunny Cove. It has Thunderbolt 3 integrated, Gen 11 graphics, Wi-Fi 6, and something called DL Boost, which improves the performance of AI applications running on the system. 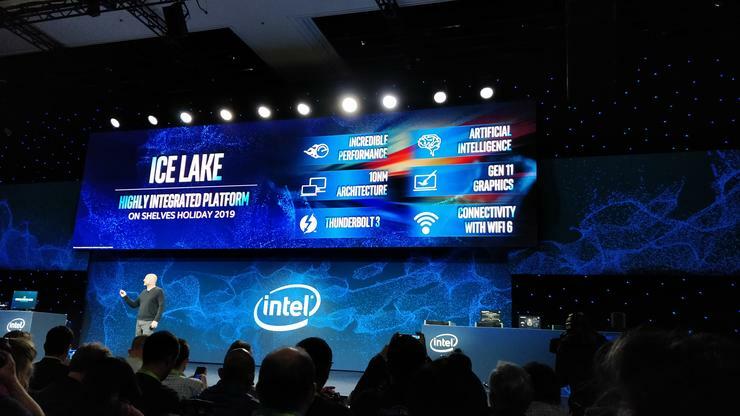 Running an intelligent search on Ice Lake with DL Boost generated a 2X performance improvement, Intel showed in a demo. “We had to go way beyond the CPU and think at a platform level,” Bryant said. He added that Intel will deliver Ice Lake by the 2019 holiday season. Intel officially took the wraps off the Sunny Cove architecture in December, and it's expected to form the underlying technology of Ice Lake and subsequent chips. Previously, Intel had released just some of the technical details of the architecture, such as the number of instructions Sunny Cove could execute in parallel (five), and some very basic performance comparisons to prior generations. But the number of cores, or clock speeds, remains unknown. Sam Burd, president of the Client Solutions Group at Dell, appeared on stage to show off a Dell XPS notebook running an Ice Lake CPU. It will be on store shelves by the holiday season, Bryant said. Tony Werner, president of technology on Comcast, also appeared on stage to announced something totally unexpected: taking Comcast’s gigabit service and potentially upgrading it to 10 Gbps service, full duplex—in other words, 10 Gbps upstream and downstream. Gigabit Wi-Fi is a critical part of the Ice Lake platform. Intel will use the technology to distribute data from Comcast’s modems around the home. Bryant said that Intel would continue its partnership with the Olympics, offering high-definition video as well as 3D technology, to broadcast the Games. Intel and Comcast are also working to drive adoption of 802.11ax, which is also called Wi-Fi 6, the executives said. Though Intel supplies processors and chipsets to the PC industry, it also has taken a more active role in the development of PCs, most recently with the HP Spectre Folio. On Monday the company revealed that it has partnered with the PC industry in developing the next generation of the thin-and-light PC, or ultrabook: Project Athena. 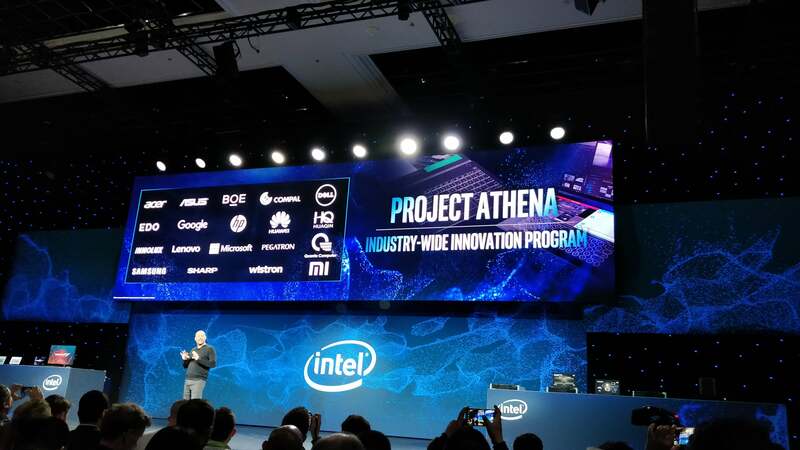 Intel didn’t say much about Athena in its presentation at CES, but told PCWorld many more details of what it hopes to accomplish: a new generation of PCs with an emphasis on battery life, connectivity, and responsiveness. Intel and its partners have already begun work on a certification problems, as well as setting standards for what will become Athena PCs. In December, Intel’s Architecture Day highlighted what might have seemed at the time just another way to build chips, without any impact on the real world. Called Foveros, the technology allowed Intel to stack logic chips, one on top of the other, to minimize the total die space that a multicore processor required. Now, Foveros is real. Bryant announced a chip called “Lakefield,” which stacks four Atom chips atop an undisclosed Sunny Cove processor, allowing Intel’s partners to design more compact, thin-and-light PCs. Intel didn’t disclose much else about Lakefield, but confirmed that it will be in production later this year. Shipments of “Cascade Lake,” a Xeon chip expected to be available in the first half of 2019. The inference, though, was clear: from Ice Lake to Cascade Lake to Snow Ridge, Intel’s migrated its entire product lineup to 10nm. Are the company’s production problems over? That may be the message Intel hopes you'll take away.